← Why should Clubs take the Moral High Ground? The Coaching Hotseat – Did the Warriors do the right thing? Sure the Warriors were inconsistent but will sacking Matthew Elliott this early in the season help or hurt them? Before I get started on the arguments for and against the sacking of Matthew Elliott (I never buy into this resignation business – all things being equal, I think Matthew Elliott wanted to redeem the season if possible, especially at this early stage – if it smells like pushed, sounds like pushed and looks like pushed then he was probably pushed, he didn’t resign), I have a few thoughts on spear tackles. 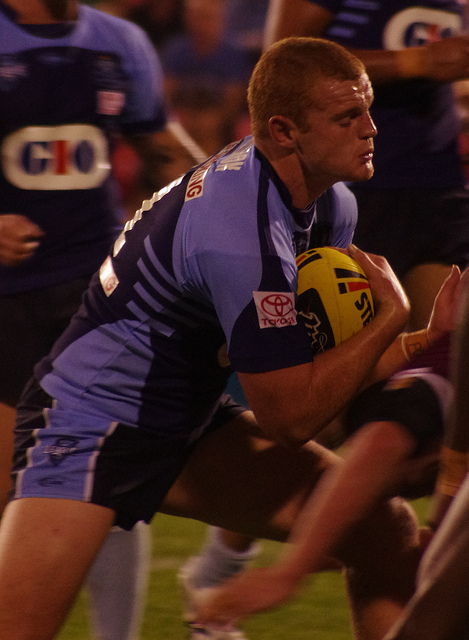 Initially, as the tackle on Alex McKinnon seemed innocuous I thought reports were going to filter through that he wasn’t hurt that bad (neck sprain – 4 to 6 weeks etc). After a few days it became apparent that the injury was serious. Then ill-informed media reports came out saying he was a quadriplegic and I, like everyone who follows the game of Rugby League, was in a state of shock. It affected me worse than I thought it would. Then came the reports that the media had jumped the gun and that it was too early to predict a long term prognosis but the young man was seriously hurt and we wouldn’t know just how bad for two years. This brings us up to date. Now every time I see a lifting tackle I hold my breath. My thoughts on the tackle itself were that Jordan McLean was measured against a different scale from tackles made in previous years and I think unfairly punished as against the existing standard. The punishment was coloured by the injury impact. He should have been suspended for 3 weeks when measured against the existing standard. Does that mean I condone spear tackles? I think the NRL are culpable here for not stamping the spear tackle out of the game completely and I think if Alex McKinnon sues the NRL we will find just how culpable the NRL are (I think the NRL will settle this matter early, from a reputational standpoint, they have to). I spent some of my childhood in Innisfail in North Queensland and locals would speak about a young man who had been killed by a spear tackle in years gone by. My thoughts on the matter were shaped by that information. The penalties for spear tackles are grossly inadequate and have limited impact on NRL clubs and consequently on how the game is played. I thought spear tackles had been eliminated from the game but footage being shown from the last few seasons of commensurate tackles reveals that they are very much alive and well. The NRL needs to stamp them out once and for all. Now I’m not saying there needs to be a ban on lifting in a tackle because the majority of lifting tackles are fine. Concerning the spear tackle, the NRL needs to implement significant in-game and post-game sanctions to dis-incentivise the spear tackle for clubs and players to the extent that we never see it again. I think the in-game sanctions should be immediate send off for the culprit and a penalty try for the infringement. This would provide for a significant in-game sanction that would make clubs ensure that their players adhere to the no spear tackle requirement. On top of this in-game sanction I would implement significant post-game sanctions including fining the club (fines to initially be in the $25,000 to $50,000 range) and suspending the player for periods of time twice to three times the current suspensions (by that scale Jordan McLean would be on the sidelines for 9 weeks but some of the other recent examples would receive suspensions in the 20 game vicinity). Now the NRL will not implement something as drastic as the above, but can they afford not to? Surely a round 5 firing is some sort of record. I remember that Ivan Henjak was fired in the pre-season but in terms of early season firings round 5 is pretty early in the season to go in a different direction. In light of Matthew Elliot’s sacking at the Warriors should the Warriors have acted so early? Let me say at the outset we are never privy to all of the information. Rumour of player unrest has been ventilated in the media. It is difficult to gauge whether there is tangible unrest and also losing teams are generally not restful especially teams that have historically underperformed or at least inconsistently performed. Winning clubs are happier. If Owen Glenn and Eric Watson lost confidence in their coach then best to act immediately. If the Warriors need a re-structure to get things right then best to start straight away. This assumes that there is a backup plan in place. Andrew McFadden is the 10th coach of the Warriors in this their 20th season. He is their 5th coach in the last 4 seasons which brings us to the next point. There must be a backup candidate. 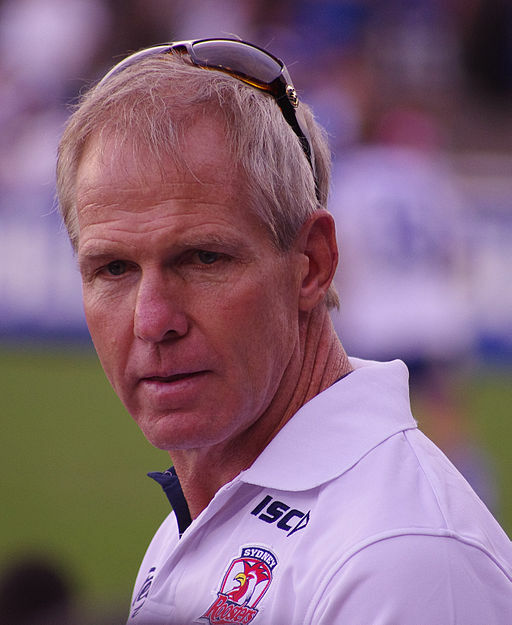 Speculation was rife prior to Elliott’s hiring that the Warriors were courting Craig Bellamy and any number of other high profile candidates. Nothing ever eventuated and ironically Ivan Cleary and Matthew Elliott swapped places. At the time it seemed that the Warriors didn’t get their man so they got Matthew Elliott instead. Harsh but it certainly seemed that way. Owen Glenn didn’t exactly dispel those rumours when appointing Elliott as the heir apparent. The Warriors have a never ending nursery of abundantly talented players coming through the assembly line of the Holden Cup but Elliott was unable in the time that he was with the Warriors to adequately or consistently harness this. A large part of the blame for recent Warrior’s performances must fall on the players. Ratcheting up the pressure on them in terms of accountability may lead to greater consistency on the field. Sometimes sacking a coach mid-season can give the team some momentum when mired in an unsuccessful spiral. Sacking your coach after round 5 is an admission that the season is gone. It is hard enough to adjust tactics for a new coach with a full off-season let alone mid-season. There just isn’t enough time to embed any new structures. Surely one and a bit seasons is insufficient time to embed your imprint on a side. Given Elliott inherited his whole team a little over a year ago it seems harsh to judge a man on results from just over one season. Surely Owen Glenn and Eric Watson already knew what they had in Matthew Elliott. He wouldn’t have changed dramatically. The profile of the NZ Warriors under Matthew Elliott last year has continued this year. If they really had so little confidence in Elliott why didn’t they make the call at the end of last season. It would have enabled a cleaner outcome. Given the Warriors main issue is consistency, how is sacking another coach mid-season contributing to a steadier outcome. Increased pressure doesn’t always provide outcomes for a team that has historically vacillated in confidence. Is there a viable alternative for Matthew Elliott? The media are already speculating that Shaun Wane from Wigan and Neil Henry currently with the Titans are the early front runners. If I was the Warriors I would be throwing the house at Wayne Bennett. There are alternatives to sacking the coach. Letting him play out the season under notice could have led to a better outcome. Likewise, Salford owner and racing mogul Marwan Koukash shifted Brian Noble aside only this week offering him the position of Head of Football Operations and appointed Iestyn Harris as his replacement as coach. We will have to see how that one turns out. I think when you make your bed you have to lie in it. They should have let him play the season out. I am not a fan of mid-season coaching changes. I think the owners of the Warriors are hungry for success but they need to pick a strategy and stick with it. They weren’t completely sure that Ivan Cleary was the man to lead the side and so he signed with Penrith while they let him stew in a contract year. They went on to make the Grand Final in his last season. Under Cleary an elusive premiership wasn’t gifted, however, the Warriors were a more consistent side making the finals in 4 out of the 6 seasons he coached (and would have made the finals in 2006 but for a 4 point penalty for salary cap breaches). Brian McClennan was the next cab off the rank and didn’t last the season. Tony Iro coached the balance of the season but was not retained which brings us up to date with the recent reign of Matthew Elliott and the new appointment of Andrew McFadden. The Warriors badly need to sit down and find someone with a five year plan to win the premiership. Tiger Cubs. Precocious upstarts or the new normal? The Tedesco injury will have an impact. The Eels. Bottom dwellers for two plus seasons. They are showing some spine. Chris Sandow. He has had a very lean run but is showing plenty of pluck again. He is certainly giving the Eels another attacking option. The Australian Women’s T20 side. World Champions. Nice work. The NZ Warriors. Just dismal. The NCAA Tournament is over and what a wild ride it was. The University of Connecticut won out over the Kentucky Wildcats. A seventh seed topping an eighth seed. Wow. Michael Morgan – Run Metres – 108, Tries – 2, Try assists – 1, Tackle busts – 4, Tackles – 1, Missed Tackles – 0, Errors – 0 and How relieved JT is that he finally has some help – 100%. This entry was tagged Australia, New Zealand, New Zealand Warriors, NRL, Rugby League. Bookmark the permalink.